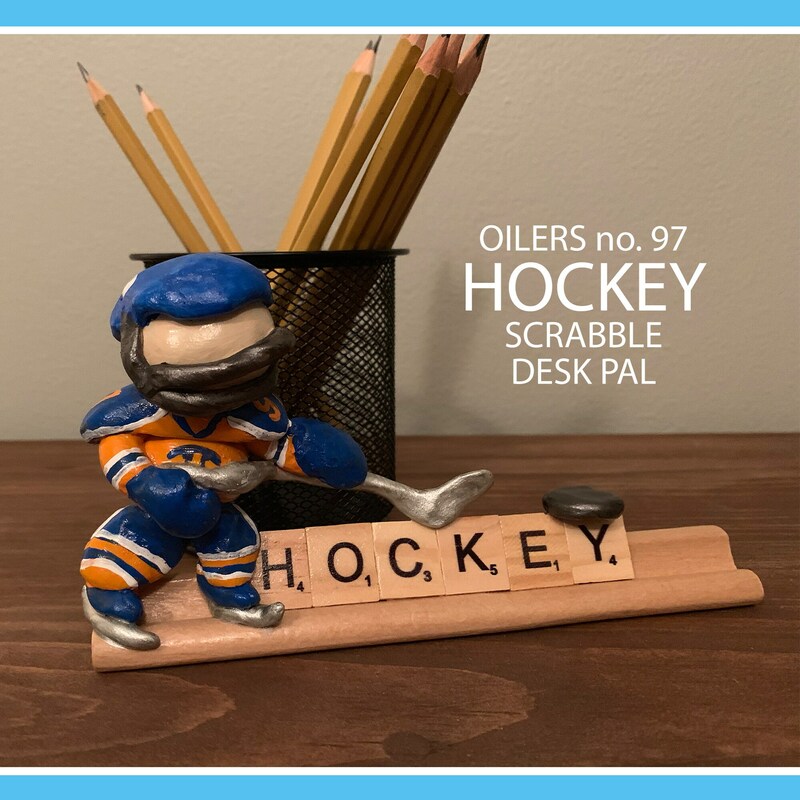 Edmonton Oilers Desk Pal no. 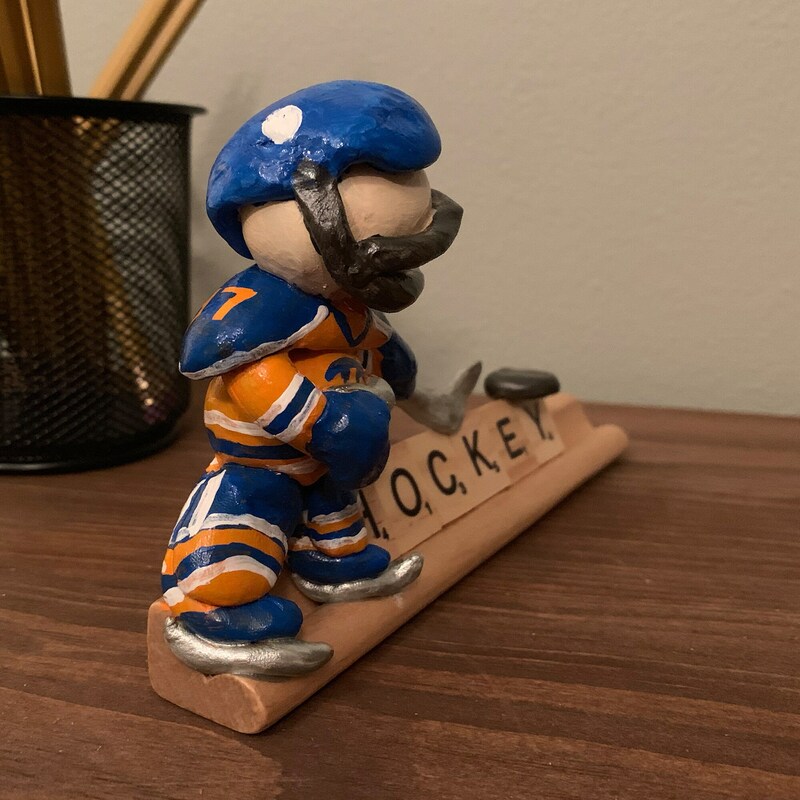 97 wants to guard your home. 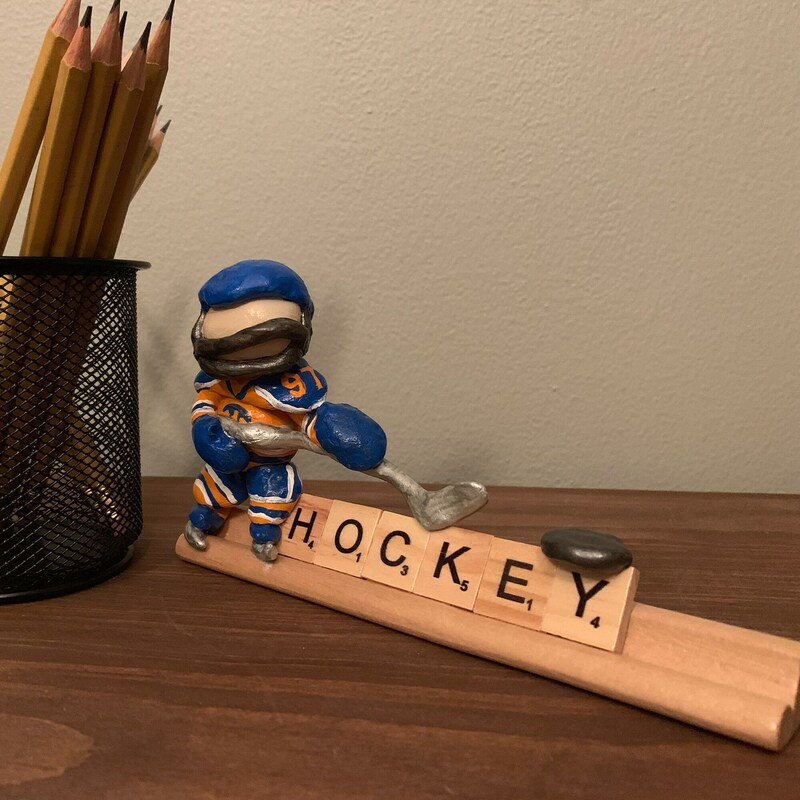 This fun art collectible is a handmade one of a kind scrabble tile hockey art piece. Not to be too forward but no. 97 wants to join your team if you adopt him. 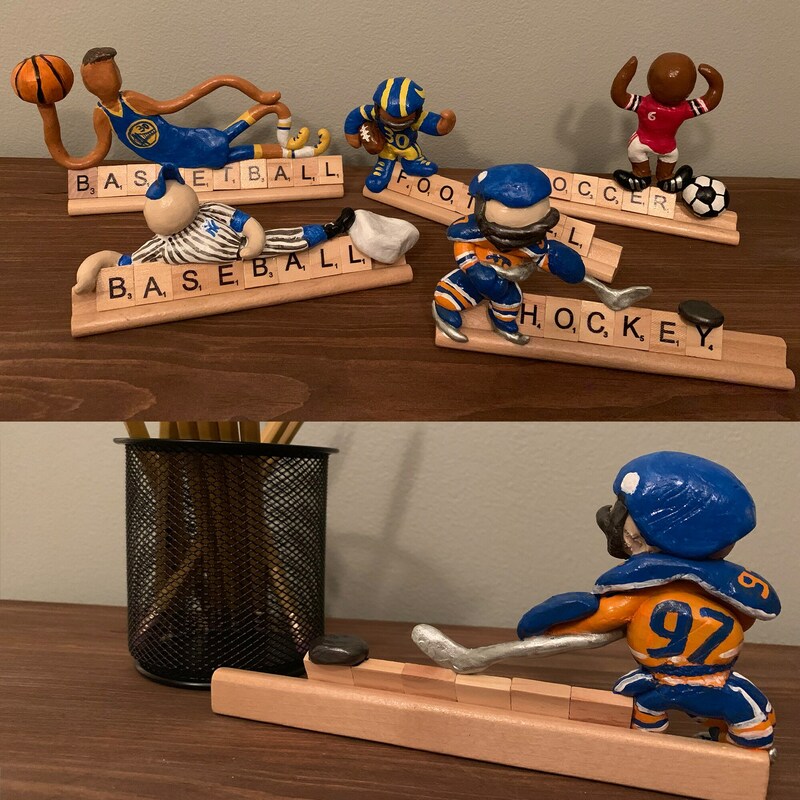 Special orders available for other teams, allow 1-2 weeks for special orders.